You can get our Face painters for hire to make your kids’ party even better. AEIOU Kids Club offers you everything you need to make your party just perfect, including kids’ face painting. We guarantee your kids’ party entertainment with our face painters for hire, kids’ face paint, face painting games, clown face painting, and lots of great activities. You can get our face painters for hire separately, or you can join them together with our party packages to make your birthday party, school party, nursery party, Christmas party, corporate and community events, just perfect. AEIOU Kids Club is everywhere you wish in Birmingham, London, Manchester and Liverpool. Our face painters for hire will bring to your kids party everything your little ones always dreamt of Beautiful paints, lots of magic and dreams. AEIOU Kids Club face painters for hire will make your kid’s party a huge success. 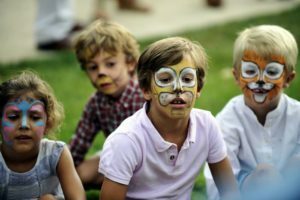 There is not only one kid who doesn’t like face painting, so Hire our face painters and our party packages and the fun is guaranteed. For now, take a look at some examples of our face painting. Spiderman – Superheroes are part of kids’ imagination, and especially boys love them all. Our face painters for hire are going to transform your kid into a real spiderman. Don’t you believe me? Butterfly – Butterflies are so soft and beautiful that all girls fell in love with them. 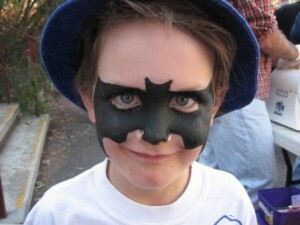 That’s why this kids’ face paint is always a big success. Clown – It is indisputable that kids love to assist to clown shows. And our clown face painting too. 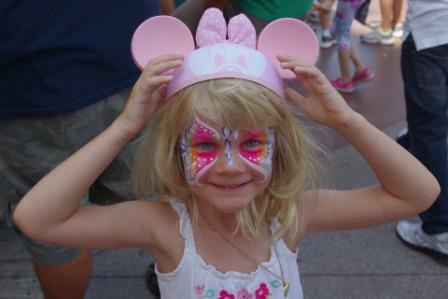 Hire some face painting for kids with our face painters for hire and I am sure your kids’ party will be memorable. 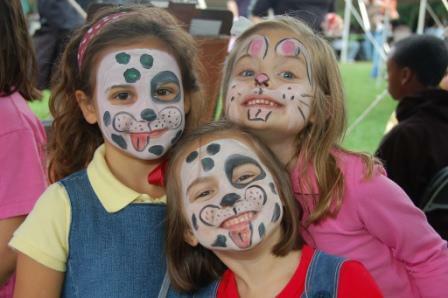 Dog – We have lots of kids’ face painting, but animals are always special among the little ones. Dogs, cats, tigers are some of the best paintings we can do. You can get all of these with our face painter for hire. 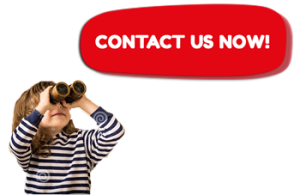 So, contact us and we will show you everything! Pirates – Boys love Pirates, and if you want to please them you certainly have to give a Pirates’ Party and, of course, with the presence of our face painters for hire to make your day very special. Halloween – There are no doubts that kids love to go out asking for tricks or treats, and they need to paint their faces to enthral the true spirit of Halloween. So, get our face painter for hire and they will enjoy lots of scary paintings! Batman – Boys love all superheroes, and Batman is not an exception. Our face painting for hire and our face painters will make you kids’ party just great. Hello Kitty – Our kids’ face painting was specially designed for all kids, and this one specially created for young girls. Don’t you love Hello Kitty face painting for kids? Contact us. We can provide all your kids’ party entertainment and our face painting for hire is a great option to make your children have lots of fun. Our face painter for hire is a professional entertainer able to make your party very special, and all of our entertainers will do everything to make all your kids’ dreams come true. Take a look at all children’s parties you can hire our children’s face painting. Birthday Parties – You can have face paint in your birthday party hiring one of our face painters for hire or hiring one of our Kids Birthday parties. We will make your party memorable. Christenings, baptisms and weddings – These parties are very important, and you want to make it special. We can provide all your kids’ party entertainment, and you can make your party unique getting our face painters for hire. Corporate Parties – Giving a company party with children is a tremendous challenge. It can be very tricky, but you can ensure the success of your party getting our face painters for hire. Halloween Parties – We make Amazing Halloween Parties with lots of scary activities, and our entertainers won’t forget to paint all your kids’ faces. Grand Openings – This is the big day, and you don’t know what to do. So, we have the perfect solution to keep children entertained during your grand opening. You can hire face painting for kidsand some of our kids’ activities. I’m sure it will be unforgettable. Christmas Parties – Kids love Christmas Parties. Now you can make even more special hiring our face painters for hire. You can also hire our Santa Claus and our Elves. I’m sure your Christmas Party will be great. Themed Parties – If you are going to give a themed party you will surely need our help. We have lots of kids’ themed parties and hiring one of them we offer you our face painters for hire to make your party just memorable. Community Parties – When we are planning a community party often we don’t know what to do to keep children entertained. So, you can get our face painters for hire and our balloon modelling. Just contact us and we will tell you all the options we have for you! AEIOU Kids Club provides fabulous kids’ party entertainment. We count with our professional children’s entertainers (clowns, magicians, face painters for hire, and more). You can guarantee the success of your party with many activities, games, performers and we can even set up all your party in Birmingham, London, Liverpool and Manchester. Together we can make your party a real mark in the party’s history. Contact us Now and together we will make your party a huge success. Our entertainers and our face painters for hire are waiting for you!